Take unorthodox instrumentation—sousaphone, trumpet, violin, accordion, clarinet, guitars and percussion. Liberally season with varied influences—traditional Eastern European dance, Argentine tango, Spaghetti Western instrumentals, Mexican folk, American roots music and angular post-punk. Top off with crooning tenor—equal parts flamboyant lounge singer and sensual balladeer. For Devotchka, this unique recipe made for an indie-rock strain not normally associated with Colorado’s musical climate. 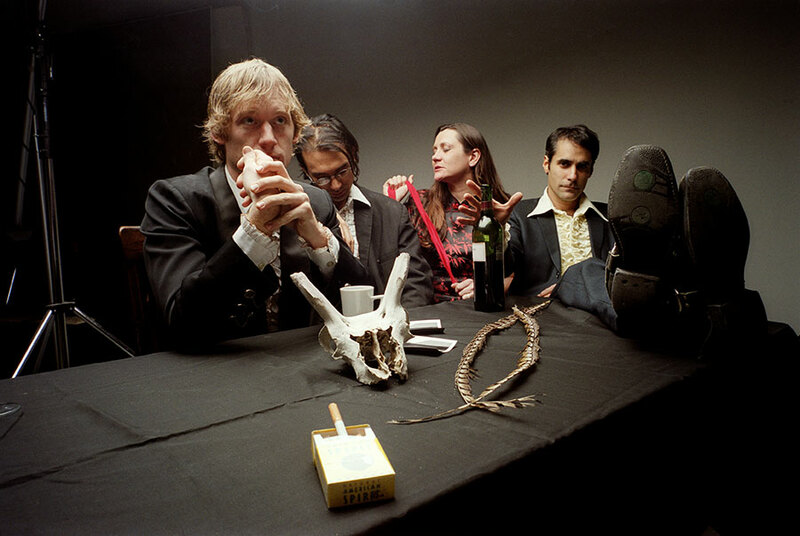 After Urata’s Chicago-based alt-country band failed to gain a following, he set for the Denver-Boulder area in 1997 and formed Devotchka (from the Nadsat vocabulary of A Clockwork Orange, meaning “young woman”). “Boulder is one of those places you end up because you have friends there,” Urata said. “In my mind, I had laid out the fantasy of what I wanted Devotchka to be. I had a bunch of songs written, and I had an open-door policy—anyone who wanted to work on them with me was welcome. I would con friends from the music school into coming over and playing. That became Devotchka’s first album. Devotchka—Urata, who sings and plays theremin, guitar, bouzouki, piano and trumpet; Tom Hagerman, who plays violin, accordion and piano; Jeanie Schroder, who sings and plays sousaphone and double bass; and Shawn King, who plays percussion and trumpet—released its own records and toured on its own dime. The band promoted its Una Volta album in 2004 by accompanying burlesque queen Dita Von Teese. The members were continually flirting with poverty, as record labels deemed their circus of styles unmarketable. Urata braided the band’s sensibilities into a sound that was haunting, sweeping, ecstatic and romantic. “How It Ends,” the title track of an album released in 2004, introduced the band to a wider audience when it was used in the trailer for the motion picture Everything is Illuminated. “How It Ends” left its impression. Devotchka was asked to compose and perform the majority of the music for Little Miss Sunshine, a 2006 indie film that became the surprise hit of the year, garnering four Academy Award nominations. Devotchka was nominated for a 2006 Grammy Award for Best Compilation Soundtrack Album. With the movie’s success and the attention surrounding the soundtrack, Devotchka’s sound was suddenly in vogue. The band was later signed to Anti- Records, an imprint known for releasing music from such diverse artists as Tom Waits, Nick Cave and Billy Bragg. In 2008, Devotchka’s album A Mad & Faithful Telling reached #9 on the Billboard Heatseekers chart and #29 on the Top Independent Albums chart. 2011’s 100 Lovers peaked at #74 on the Billboard 200. 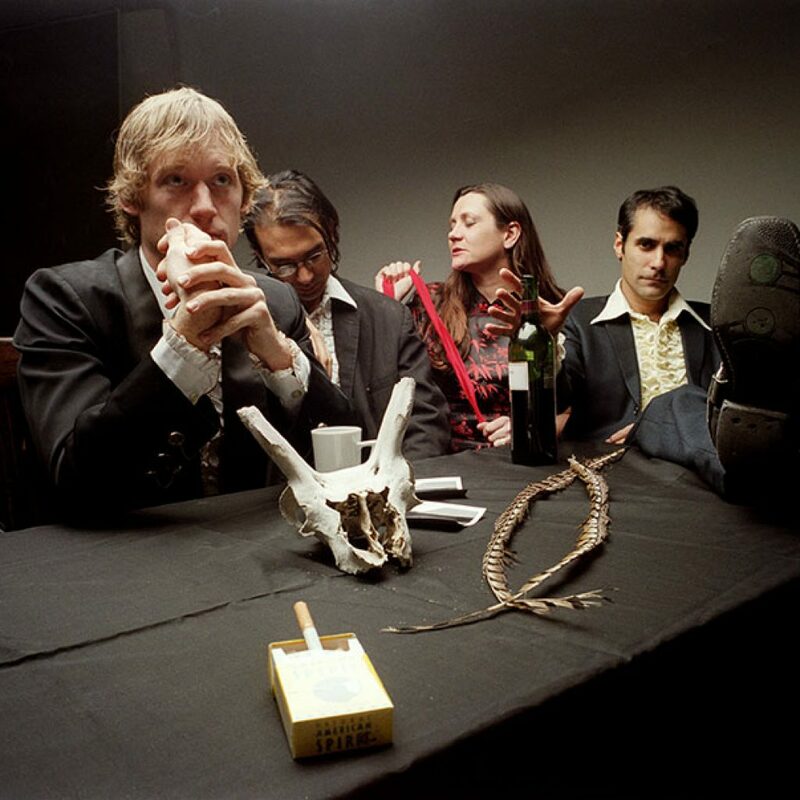 Devotchka had also built a reputation for manic, extravagant live shows, often featuring belly dancers and trapeze artists, and the band’s notoriety was buoyed by acclaimed appearances at Coachella, Bonnaroo and various festivals across the country. Sharing the spotlight with sixty musicians, the members turned a February 2012 performance into a live album, Devotchka Live With the Colorado Symphony Orchestra. Urata flew solo to compose the soundtrack for the Jim Carrey movie I Love You, Phillip Morris, and his phone rang with other offers. He juggled his time between Devotchka’s career and writing music for several films, including Crazy, Stupid, Love and Ruby Sparks. He scored the 2014 films Paddington and The Cobbler, and the 2015 crime romance Focus.